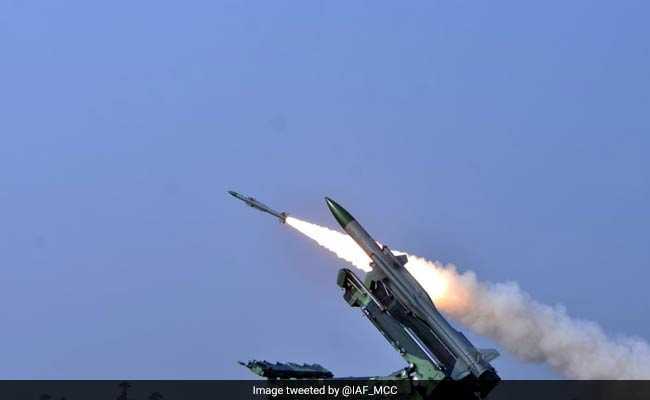 In a first-of-its-kind exercise code-named CROSS BOW-18, the Indian Air Force successfully conducted combined guided weapons firing of Surface-to-Air Missiles from the Air Force Station at Suryalanka in Andhra Pradesh. Chief of Air Staff Air Chief Marshal Birender Singh Dhanoa, along with senior IAF officers, witnessed the exercise at Suryalanka for two days on Friday and Saturday. A defence release at Amaravati said CROSS BOW-18 saw the successful firing of four different classes of missiles like Akash, Spyder, OSA-AK-M and IGLA. "The exercise was carried out on December 5, 7 and 8 during day and night in an integrated networked environment," the release said. Interacting with the Air Force Station personnel and the missile combat crew, the Air Chief Marshal lauded their efforts towards successful conduct of the exercise. Exercise CROSS BOW-18 was yet another major milestone achieved by the IAF, BS Dhanoa said, adding that it would help improve the combat skills of the missile squadron crew and also go a long way in strengthening the country's air defence preparedness. Improving professional skills during such exercises would enhance the IAF's combat capability, he told the missile combat crew. The ACM asked the air warriors to be operationally ready at all times to respond to any contingency at short notice. Air Officer Commanding-in-Chief (Southern Air Command) Air Marshal B Suresh, Air Force Station Commander Group Captain RM Kumarasamy and other officers were present.